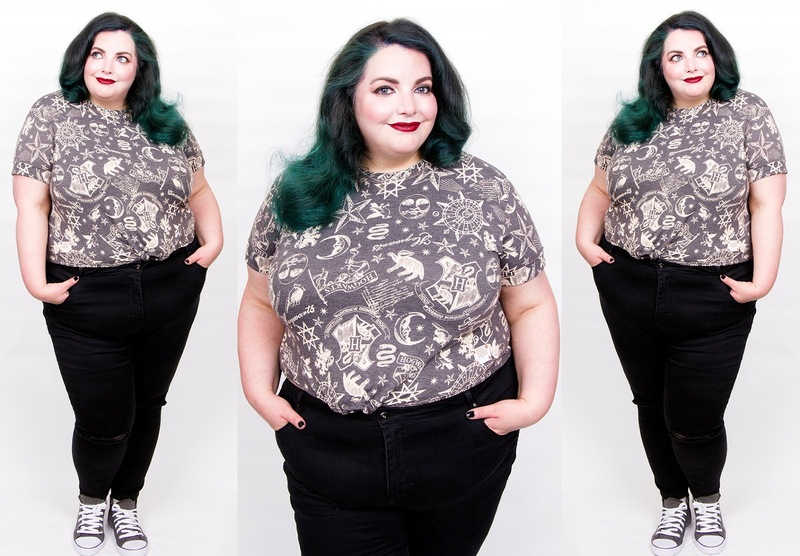 Unless you've been hiding somewhere under the ocean, you've probably heard that Primark have been attracting the attention of lots of wizards in training thanks to their excellent Harry Potter themed collection. With everything from PJs to home furnishings on offer, it's the stuff of dreams for muggles and magicians alike. Their Oxford Street East store in particular has been decked out to perfection, and since it's often on my route home I've been keeping a keen eye in store to pick up a few things I'd fallen in love with throughout the previews. Primark is all about fast fashion and fast turnarounds, so in terms of what's still available, let me start off with the good news. 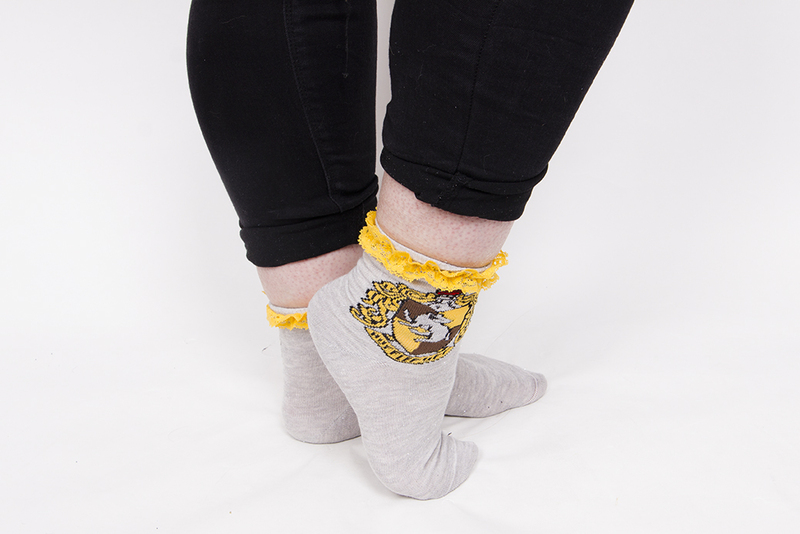 The Harry Potter range is still very much in stores, and seems to be having new things added to it fairly frequently which I suspect will only get stronger in the lead up to Christmas. There are lots of sweatpants, pyjamas, bags, jewellery and homeware in all of the larger stores, and even smaller ones such as my local in Wood Green seem to be carrying bits mixed into their main lines. The bad news however is that the range launched at the end of August, and some of the items pictured below were picked up by the skin of my teeth so may be hard to get a hold of without trawling through the deepest, darkest hells of ebay resellers. The high tops in particular were a miracle find where a very patient merchandiser rescued the last pair from a window display for me, and in a proper moment of pure magic, they were actually the correct size! Harry Potter T-Shirt - £6. Hufflepuff Tote - £3. Deathly Hallow High Tops - £10. 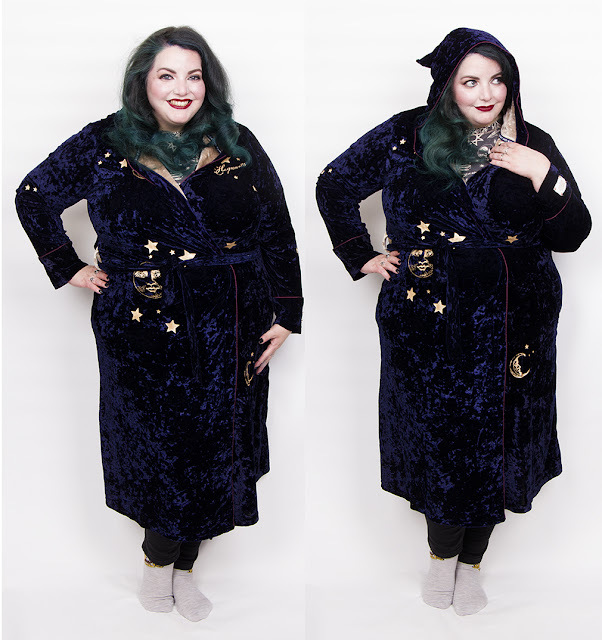 Wizard Robes (aka the COSIEST dressing gown ever!) - £16. 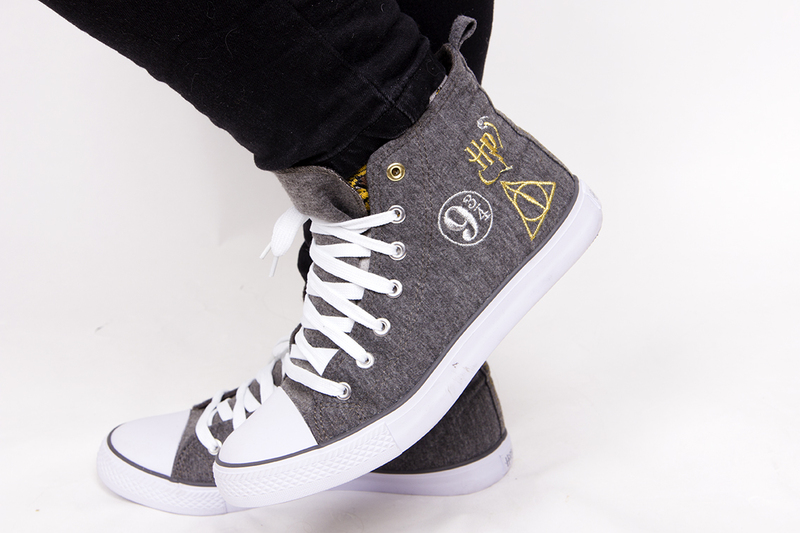 Deathly Hallow High Tops - £10. I'm such a Harry Potter nerd, and I honestly cannot explain just how happy this collection has made me. Whilst the high tops are amazing, the dressing gown robes is hands down my favourite Primark purchase of all time. It's so soft and comfy and will be what I'll be living in this winter. 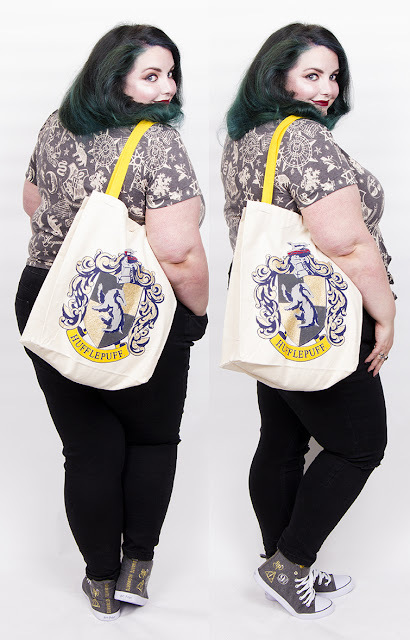 I can't wait to see what hits the stores in the next wave as we lead up to Christmas, and if anyone's looking for ideas of what to get me this year, I am 100% #TeamHufflepuff! That robe is pure perfection! I am going to have to start making regular pilgrimages to the Tottenham Court Rd one in my lunch break! That dressing gown looks pretty cosy.